Roseanne Barr before and after nose job, facelift plastic surgery. 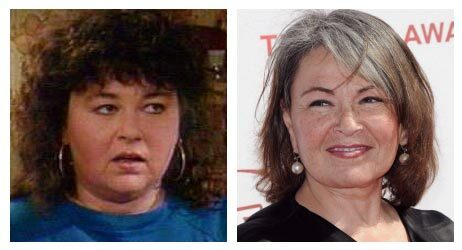 Everyone's favorite rude and crude comedian/actress is making her show business rounds again, you heard it folks, Roseanne Barr is making a comeback. This news is on the heels of her recent U.S. Presidential campaign announcement, which is probably nothing more than a sly tactic to sale copies of her new book, entitled Roseannearchy: Dispatches from the Nut Farm. 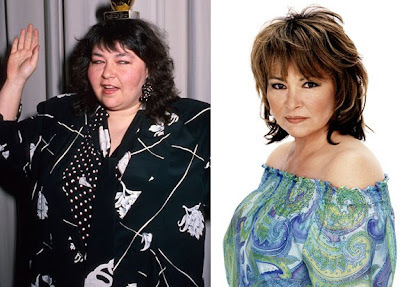 In fact, Roseanne Barr isn't the least bit shy talking about her previous cosmetic procedures, including a nose job (rhinoplasty) and a breast reduction, which was actually preformed for medical purposes. Now I realize that everyone has to get old and die, but it was still a very bad experience....No one looks better after plastic surgery. Just pink and shiny. At the end of it, you look like an idiot. Perhaps jokingly, she later attributed her plastic surgery decision to her un-happy relationship with fellow actor Tom Arnold. Every time I had a break I would have surgery. I think just to get away from him and then when I came back there'd be nurses in the house and I wouldn't be alone with him. She must have only had FAT scraped out of her face, she isn't looking too different!